2017 has been a banner year for the $10M club. It was four years ago when Chris ‘Moorman1’ Moorman first broke the $10 million mark and for a long time, he sat alone sat at the top of the mountain. This year though he was joined in the rarified air by four other players, including Chris ‘Big Huni’ Hunichen who hit the $10M mark just two weeks ago. Now, right on Hunichen’s heels, there’s a sixth member in the eight-figure fraternity, Sweden’s Johannes ‘Greenstone25’ Korsar. Korsar, currently ranked #15 in the world, completed the feat earlier this week when he took down the partypoker $50K guaranteed High Roller Warm Up on for over $13,000 and on the same day followed that up with a 10th place finish in the $50K guaranteed High Roller and a fourth place in the $100K guaranteed High Roller for another $8,391. His combined scores that day was more than enough to put Korsar over the top and in elite company. The UK’s current top online pro, Conor ‘‘1_conor_b_1’ Beresford cruised right past $5,000,000 in lifetime cashes this week when he took first place in the PokerStars $162 Deep Stacks (No Limit Hold’em $7.5 gtd) on October 25 for just over $2,700. The score, which appears as just another deep run in a long list of cashes for the voluminous grinder, makes Beresford the 89th player to reach the prestigious plateau. While Korsar and Beresford both touched major milestones this week, a number of grinders reached new marks in their careers. Latvia’s #1-ranked crusher Dainis ‘ex6tence’ Budovskis exceeded the $4M mark after his fourth-place finish in the PokerStars $1,050 Thursday Thrill for over $14,000. Both Andrey ‘drupalucker’ Chernokoz and ‘iamVolanD’ from Russia passed $2 million lifetime earnings. Chernokoz also made moves in the Worldwide rankings, jumping three spots from 49 to 46th in the world. Ireland’s Kamal ‘AceofShamrocks’ Singh, Farcasanu ‘alexxt7’ Alexandru out of Romania and Brazil’s ‘dibmestre’ all surpassed the $1 million lifetime earnings benchmark this week. Brazil’s 12th ranked pro,Victor Pedote ‘vitinhorrn15’ dos Santos made major moved in the PocketFives.com Worldwide Ranking this week, leaping 23 spots and right into the Top 100. The major jump could be attributed to his victory in the partypoker $200K Gtd High Roller which not only brought him 447.21 PLB points but over $33,000. 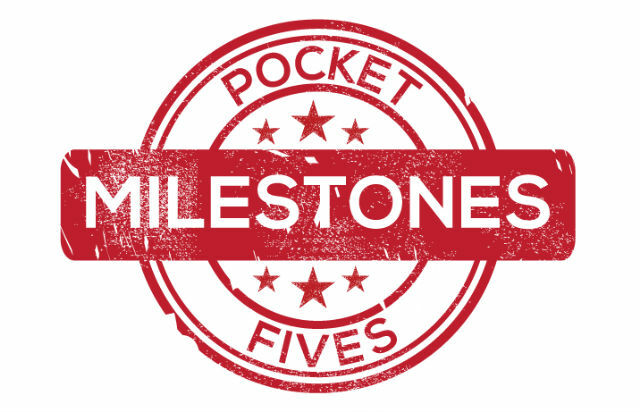 Along with dos Santos and Chernokoz, five other PocketFivers reached new heights in the top 100 Worldwide Rankings.